Prime Minister Jacinta Ardern said her Cabinet will consider the details of the changes this week. 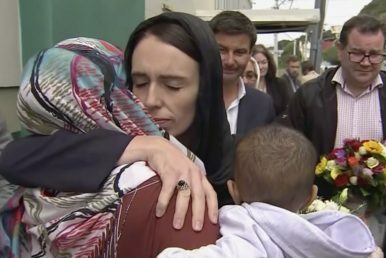 She has said options include a ban on private ownership of semi-automatic rifles that were used with devastating effect in Christchurch and a government-funded buyback of newly outlawed guns. In Australia, a virtual ban on private ownership of semi-automatic rifles and a government-funded gun buyback cut the size of the country’s civilian arsenal by almost a third. The ban followed a 1996 massacre in which a lone gunman used assault rifles to kill 35 people in Tasmania state. “There have been attempts to change our laws in 2005, 2012, and after an inquiry in 2017. Now is the time for change,” she said. In a statement announcing cancellation of the March 23 event, organizers say the show aims to support servicemen and women and promote interest in New Zealand’s military history. On the show’s Facebook page, most commenters said they supported the decision. By Stephen Wright and Kristen Gelineau for The Associated Press. Associated Press writer Rod McGuirk in Canberra, Australia, contributed to this report.